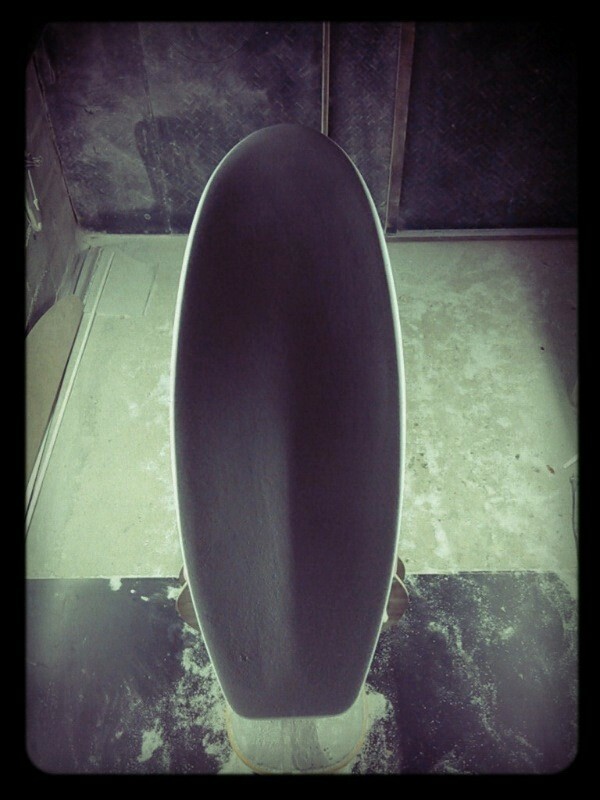 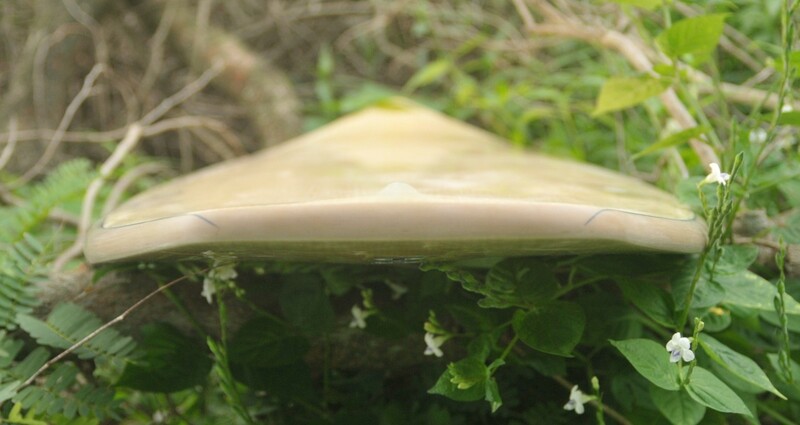 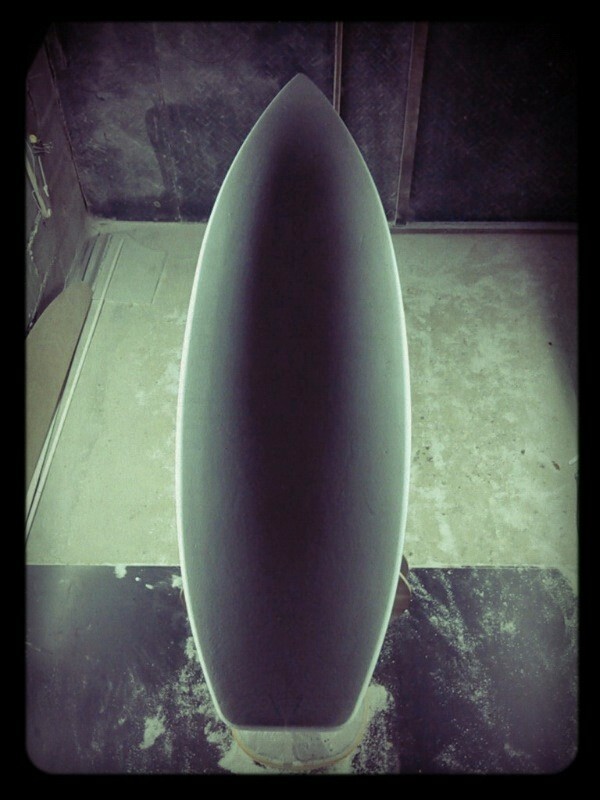 Here is a wide tailed Cuzma (using "the Squid" foil) with single to V double concave bottom and flat deck. 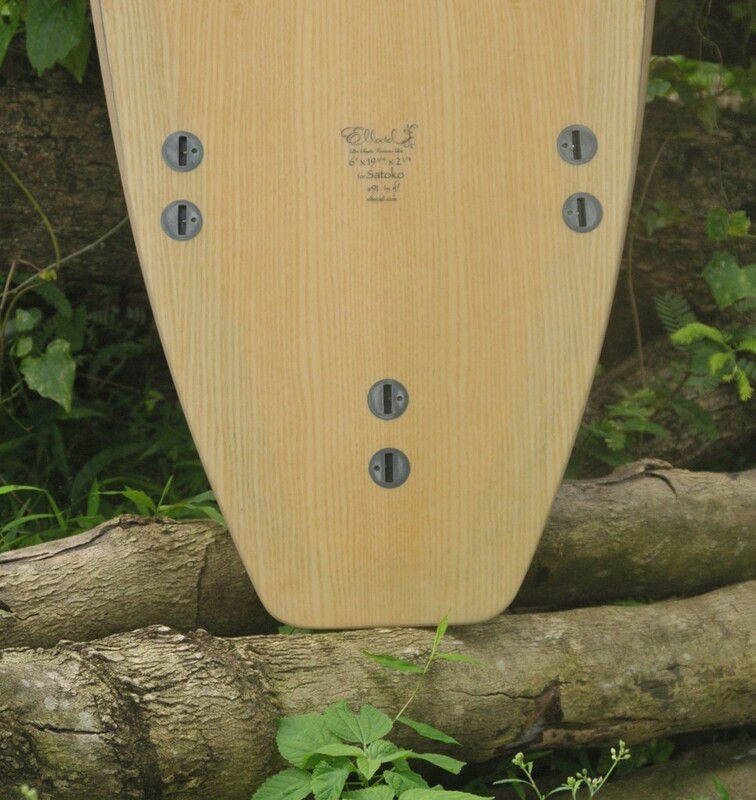 Ash wood skins on both sides with clear brown rails and pinlines. 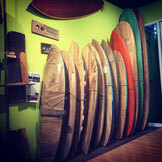 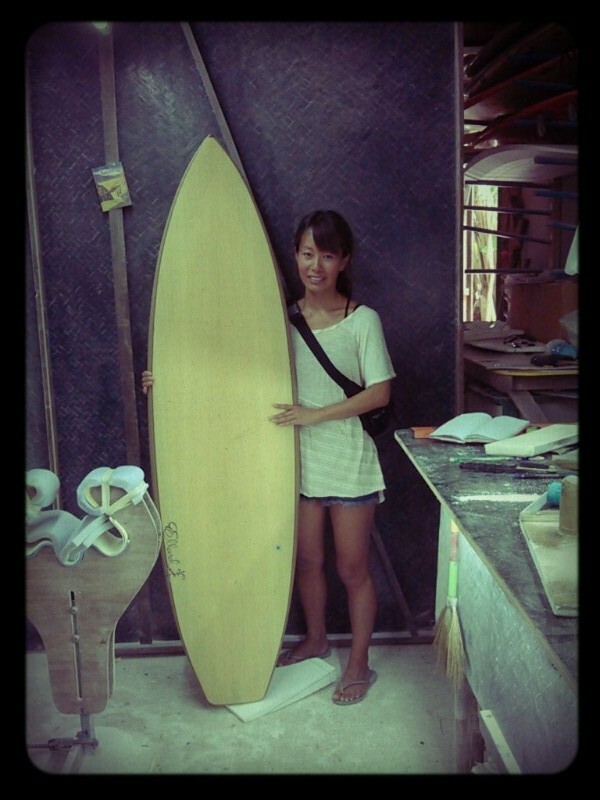 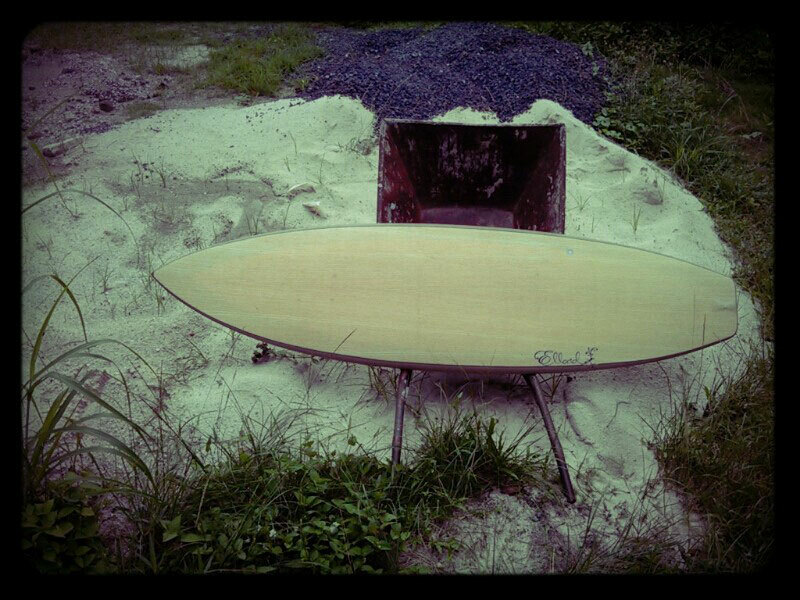 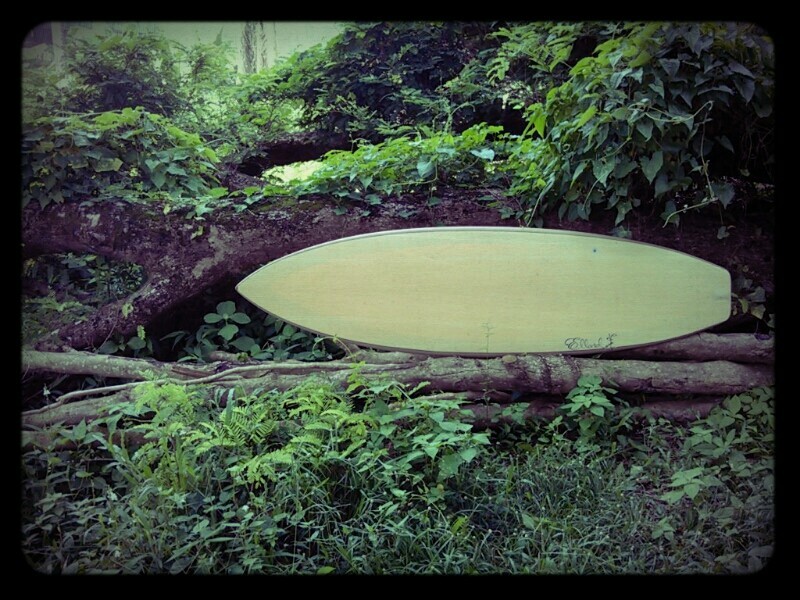 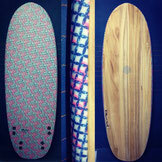 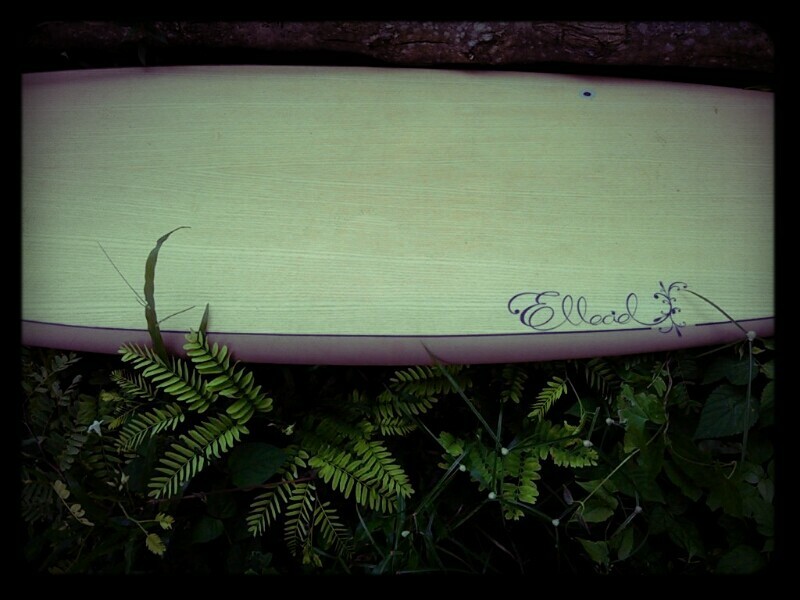 Custom made for Satoko to enjoy japanese waves.